This Thursday afternoon, a Russian Soyuz capsule carrying International Space Station astronauts Terry Virts and Samantha Cristoforetti, in addition to cosmonaut Shkaplerov, landed safely in Kazakhstan. 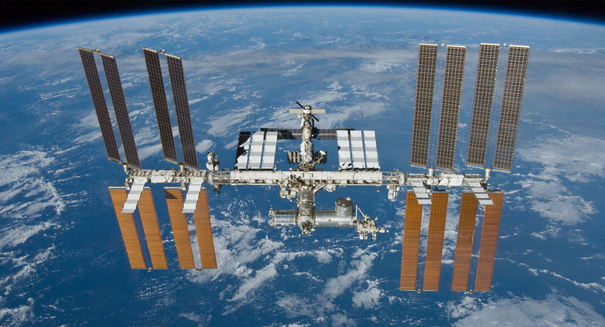 According to Slate, the most recent mission to the ISS resulted in a number of unexpected broken records. Terry Virts seriously stepped up the space station’s Twitter presence – his feed features stunning photographs of our planet from low-Earth orbit, including breathtaking auroras, birds-eye-view shots of famous landmarks like Egypt’s pyramids, and photos of day-to-day life on board the ISS. Virts’ camera work offers a rare glimpse into what it’s like to be an astronaut on the space station. Samantha Cristoforetti has enjoyed much attention over the course of the mission for her famous tour of the space station’s toilet, and her demonstration of how an astronaut prepares and drinks a cup of espresso in space. The crew was scheduled to land in May, but because of a malfunction with the Russian Soyez rocket and capsules, Cristoforetti had spent more than 200 days in space by the time she was able to return. Cristoforetti inadvertently set the record for the longest single space trip by a woman in history. She also set the record for the longest uninterrupted space flight for an astronaut representing the European Space Agency. She was able to knock out Sunita Williams, who previously flew on the ISS for a mission that lasted 195 days. The record-breaking ISS mission has gathered excitement across the board, as it represents not only amazing technological progress, but also a great step forward for gender equality in the space exploration field.